Now it's Germany's turn to announce spending cuts and it made it in the German way - 80 billion euros. The objective is reduction of the fiscal deficit, which is expected to reach 5 percent of GDP this year, to the limit of 3 percent, according to the Stability and Growth Pact. The austerity measures include cuts in subsidies for parents, 10,000 government job cuts over four years, and higher taxes on nuclear power. 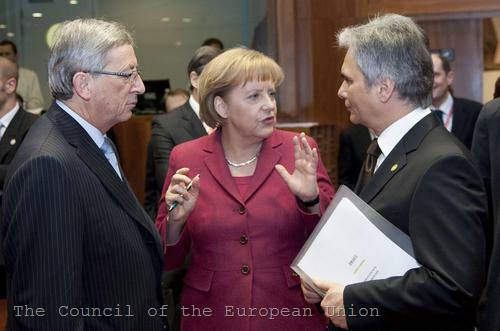 "Germany has an outstanding chance to set a good example", said Mrs Merkel, quoted by BBC. 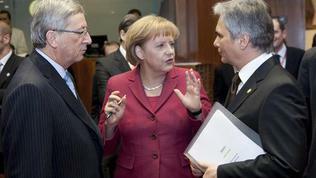 Merkel's measures, however, caused a split of opinion. At the meeting of the G20 ministers of finance a few days ago, the American Treasury Secretary Timothy Geithner expressed the concerns of many countries in the Group, that the restrictive measures imposed in Europe to deal with large budgetary deficits put recovery at risk. According to many economists, the great challenge to Germany would be encouraging domestic consumption because otherwise the budgetary measures will only stimulate its already high trade surplus. Monday marked a new market bottom for the single European currency, and finance analysts from the London City spelled the collapse of the euro area within the next 5 years. It is now obvious that to prevent this, the European countries and institutions, led by their leaders, must pay a high price - that of truth.